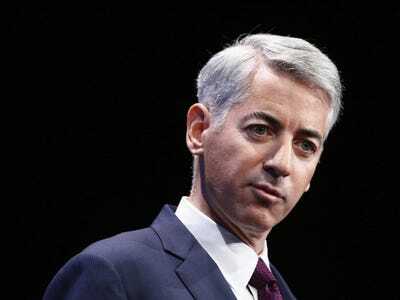 REUTERS/Eduardo MunozWilliam Ackman, founder and CEO of hedge fund Pershing Square Capital Management, speaks to the audience in New York, July 22, 2014. Allergan, the maker of Botox, is getting close to finalising a deal to merge with an Irish pharmaceutical company, and their boards are meeting to approve a cash-stock transaction, The Wall Street Journal reports. The Botox maker has been in serious negotiations with Actavis after months of fighting a takeover bid by Valeant Pharmaceuticals and its hedge fund partner Pershing Square Capital Management, the Los Angeles Times reported this week. Activist investor Bill Ackman has a major stake in Allergan and has been pressuring the Botox maker to sell to Valeant and Pershing, which he founded. Valeant and Pershing’s most recent bid for Allergan was $US53 billion in cash, according to The Wall Street Journal. That proposed deal would have been controversial, in part, because Valeant has been accused of hurting the companies it takes over by slashing their research & development budgets. Short-seller Jim Chanos has also accused Valeant of masking its lack of organic growth with its many acquisitions, as we previously reported. A deal between Actavis and Allergan could be reached as early as Monday, The Wall Street Journal reported. The combined company would reportedly sell about $US23 billion a year in brand-name and generic drugs.